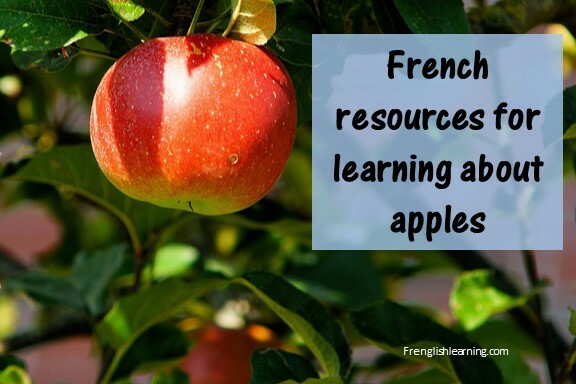 Fall is a great time to learn about apples and apple vocabulary in French. Here are a few resources to help you with that. Last year at this time, we did a paper apple relay race with our French Club. On each apple was an instruction that the children had to follow. More details from the idea source here. Qu’est ce qui arrive quand on laisse les pommes coupées pour une période de temps? Pourquoi? Une réaction chimique entre l’oxygène et une enzyme dans la pomme. Couper une pomme. Couvrir les morceaux avec des produits différents – voir si le morceau devient plus brun, moins brun, ou également brun avec le morceau qui n’a rien dessus. Choses à utiliser pour couvrir les morceaux : l’eau, le lait, vinaigre, jus de citron, bicarbonate de soude, autres? 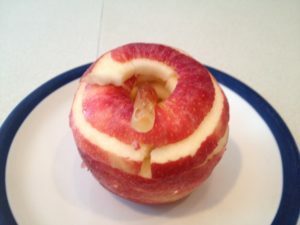 Core an apple and put a gummy worm in the middle. We made this snack at our French Club and the kids absolutely loved it. We also made these cookies, which were yummy. That recipe is in English, but I translated it for our purposes. Full disclosure – I made this program myself a few years ago for our French Club. 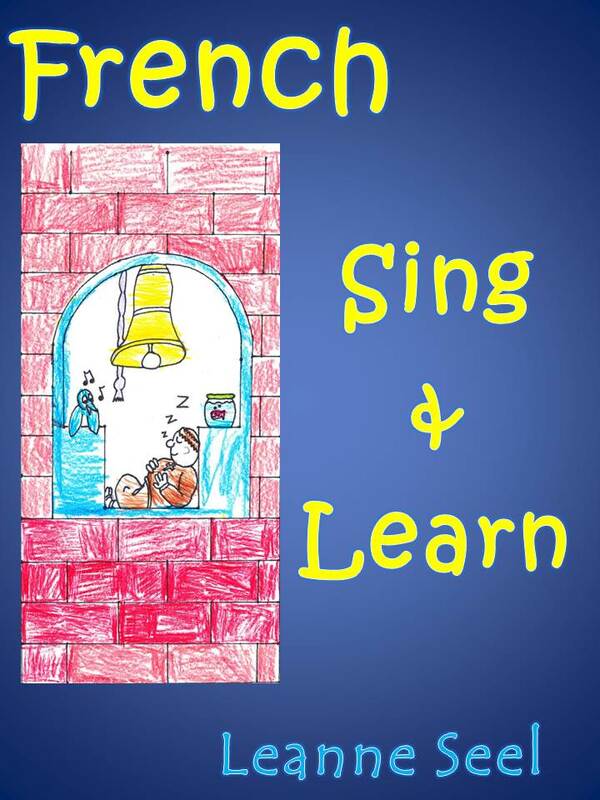 We had a small group of children working through the lessons and they had such a great time that I decided to put it into a pdf document that other people could use. Then, this past summer, I expanded it to add a video version for those who wanted the content in that format. I just released that version in August and already over 180 families are using it, which I am thrilled about. Check it out here. This site has a lot of French as a second language stuff prepared by French teachers. Each download is priced separately (so it’s not an annual subscription), but if you’re only using a few things, that may work out to be cheaper. You can find the items on les pommes here. This site is a flat-rate subscription service that has a number of engaging, colourful worksheets on a variety of topics. It’s geared to Francophone children, but some of the lower grade options may still work for French as a second language. 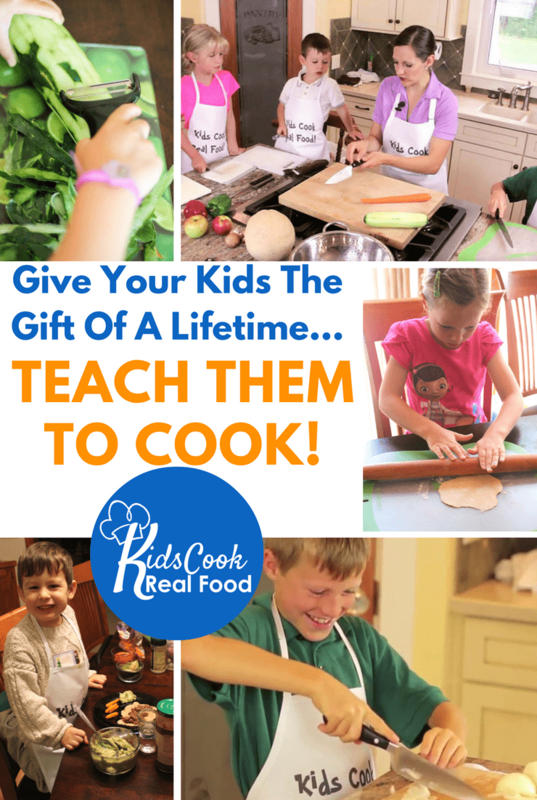 I had a subscription last year and let it lapse because my kids were getting a bit old for the site, but if you have children in grades 1-3, you may find some useful things about apples here. 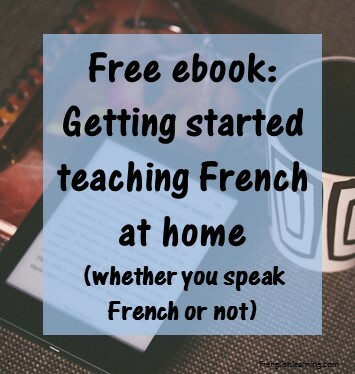 This entry was posted in 0-3 years, 4-6 years, 7-10 years, Advanced, Beginner, Bilingual parent, Curriculum, Immersion, Intermediate, Other, Parent speaks no French, Parent speaks some French, Web sites by Leanne. Bookmark the permalink.